When my oldest was a preschooler, she was working on her counting at home one day, trying to get over the hump from 29 to 30. She was getting hung up, though, because she kept saying "twenty-nine, twenty-ten." At which point I stepped in to "help." Five minutes later, she was sobbing and saying "tweh-, tweh-, tweh-, twenty-nine, thir-, thir-, thir-, thirty." Because I was so mean and horrible and impatient with her that I made her cry. Made. Her. Cry. When all she was doing was learning to count. And this, my friends, is Exhibit A in our case for "Why We Don't Home School." Because I made my child cry (sob, actually) just trying to teach her to get from 29 to 30. Imagine if I'd been trying to instruct her in advanced trigonometry or quantum physics or how to figure out the volume of a cube. I'm starting to sob myself just thinking about it. But, because of that decision, I cannot write about home schooling. So I'm thrilled to be able to introduce you to someone who can: my friend Julie. Julie home schools her two boys and, I'm guessing, has never made them sob. We share, shall we say, a "distaste" for math (genius hashtag by Julie: #‎algebrasuckstheliferightoutofme‬) but also a love of chocolate, which everyone knows binds people of all nations, personalities, and schooling choices together in perfect harmony. Your teacher makes you stop in the middle of math class to pray about your attitude. Grocery shopping or lunch with the grandparents is a "field trip." Walking the dog or riding your bike is "gym class." You do math and language with a cat on your lap. There's only one other person in your class. You've made your teacher cry. You make fun of the kids on the school bus when it goes by. Part of your curriculum is chores. You get your birthday off school. You get the day off school if you just got back from vacation. You get to sleep in on Mondays. You get to wrestle with your brother in between classes. You get to do school outside in the spring. You're doing math and realize you're still in your pj's. You get to have a sleepover on a weeknight. You get to have friends over for lunch. Watching Little House on the Prairie is "history class." You do all of your subjects in one room. You don’t have a backpack or a lunch box. You only have one pair of jeans. You get to go to work with your dad. Your mom brings lunch to your desk. Detention is being sent to your room. You have to mow the lawn during your lunch break. You still have to do school when you’re sick. You don’t get snow days. You ask how gum is made and have to write a paper about it. Your mom corrects your grammar all day long. Your pet is your mascot. Your best friend and the school bully are the same person. Thank you, Julie, for this fabulous list! 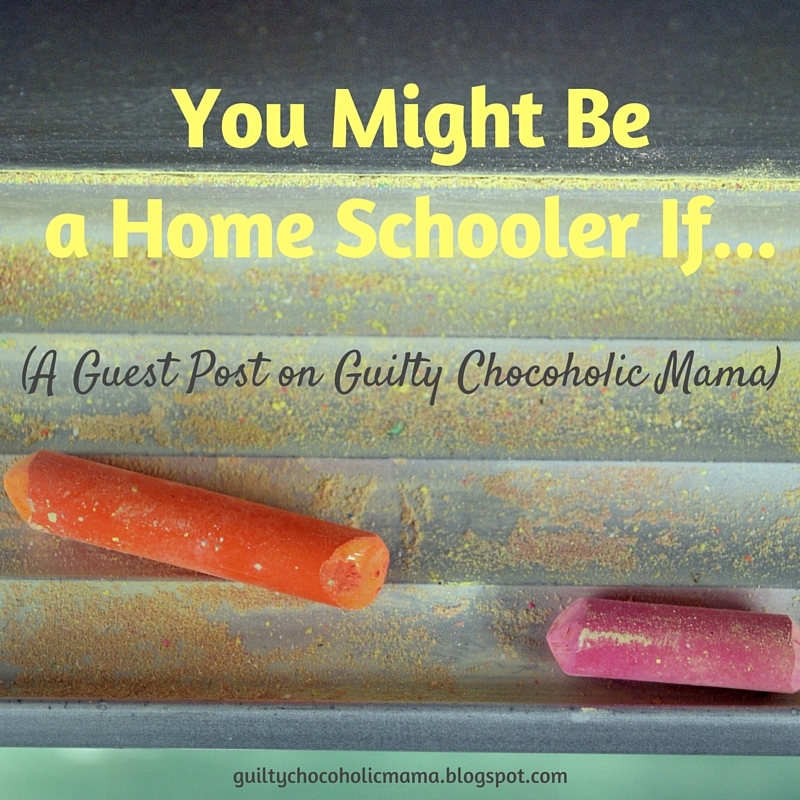 Home schooling mamas, what would you (or your pupils) add to it? Leave your wit and wisdom in a comment or over on Facebook. And if you've got a math class to teach in the near future, may I first suggest some fortifying chocolate? 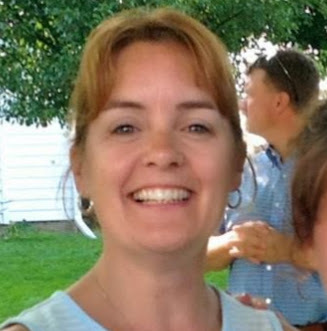 Julie Taylor is wife to a great guy, mom to two teenage boys, and a home schooler. She starts her day with Jesus and coffee and ends her day with a hot bubble bath. In between, she feeds people constantly and tries to get a nap. She enjoys reading articles on health and nutrition, taking walks outside, finding ways to save money on groceries, having family time, cooking, baking chocolate-chip cookies, and staying home. She does not enjoy jogging; algebra makes her brain hurt; and putting laundry away is her least favorite chore. But life is good, and she tries to count her many blessings daily. Thank you again for this, Julie! :) My homeschooling cousin/surrogate big sister, Karen, passes along this comment about the entries on your list: "We enjoyed relating to many of them! I love how productive snow days are as they turn into concentrated school days! I love the sleeping in part of homeschooling! I also hated teaching algebra so #2 and #3 child had algebra from a teacher on the computer! But most of all, I LOVED being with my kids especially reading a book together! My younger daughter and I read Jacob T. Marley this past month and I cried in the end as I was trying to read it to her!" I agree, Karen, that time with our kids is a blessing. But I have someone else teaching algebra to my boys this year also. Best decision I ever made! I LOVE it! Especially the first one! You might be a homeschooler if you've seen your principal kiss your teacher. Also if you aren't sure how to answer the question "What grade are you in?" Yay! Thank you so much, Cheryl! Not only for reading this post but also for leaving a comment so I'd know it was possible (re: my previous comment). You've made my day...I'm off now to let Julie know she's got "mail"! ;) P.S. LOVE your additions! Yes! On television my son was asked what grade he was in, and he got it wrong! What a fun list! I was home schooled for the last few years of high school. This was quite a while ago, but many of these sound familiar. And yes, chores were part of the curriculum. 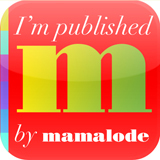 I'm visiting today from the #Shine blog-hop and am wishing you an incredible week! So funny. So true. Thanks for this! I thought so, too, Michele...and I wasn't home schooled! Thank you for visiting today! Thank you, Mother of 3. You might be a homeschooler if your Teacher Appreciation gift and your Mother's Day gift are the SAME gift. You might be a homeschooler if you've never read the "abridged" version of anything. Fun list -- brought back lots of memories as my one and only is now a sophomore in college! GREAT additions, Wendy! I love them all, but #1 is priceless. Thank you so much! I loved your #3, Wendy. Mine are also surprised that there is actually a graduation ceremony for home schoolers in our area. All of these are awesome and so true! The last one made me laugh out loud!!! My kids are best friends one minute and fighting like cats and dogs the next. Thanks for the fun post! I know what you mean, Miranda. The good and the bad of home schooling, right? Right, Jennifer?! In the non home-schooling world, I just turned anything into a "fun treat." Because of my #1 rule for parenting: encourage low expectations. Thank you for hosting the #SHINEbloghop! Thanks, Deliberate Mom. We used to love grocery shopping as a field trip. Now there's too much school to do to take days to shop, but we manage a field trip now and then. Karen, you are clearly a better mother than I am. Because I love public school biology class! ;) Thank you for stopping by! Oh I love that idea! We don't actually have to do it, we can just watch it. That's perfect! Thanks, Long Ladies. I love the list! Sadly, I have made my son cry many times because of math; the tears stopped when we went with Teaching Textbooks. Just being real here... I was one of those teachers who made children cry all the time. I find it reassuring the ones who cried actually want me to be part of their lives after all these years. Thank you for sharing with Thankful Thursdays. Aww, Lori, it's okay, honey. Thank you for being real! That is a huge part of what I want to be all about here at GCM! You have experienced grace, which leads to gratitude...and isn't that what Thankful Thursdays are all about? Thank you for taking time to stop by and to honestly share your heart! Well, contrary to what kind-hearted Elizabeth said about me, I may have possibly made my children cry. Once. Or was it plenty of times? And what is it about math that always brings the tears? But yes, Lori, they certainly are forgiving. It is humbling to have our children point out our flaws! One of my little ones prayed "Lord, please help Mama not to sin as much!" when he was about three. Nothing like motherhood to point me to Christ and my need of His grace! I think that it's not the "sinlessness" of a mother that will point their child to Christ, but watching their mother turn to Christ in her sin. Oh my goodness, Bethany, what a prayer! Precious...and to-the-point! You are right: few things refine us like the fire of motherhood. I truly believe God uses it to take us places we would not go otherwise. Thank you so much for taking time to stop by! I agree also, with both of you. I'm always thankful for God's forgiveness, as well as my kids' forgiveness. Oh, yes this is such a cute article!! Loved it, Homeschooling mama of 4! Sweet Christine, of course you know how utterly "with" you on this I am. I truly believe the best moms--of which you are surely one!--are trying to love and care for and nurture their kids the best they can given all the realities of their particular situations. 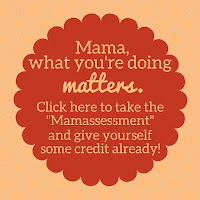 And "just" being mom--whatever that looks like and however it plays out--is eternally valuable work! We're all trying to feed eternal souls...some of us just leave math to someone else to cover! ;) Blessings on you, dear mama. Home schooling isn't for everyone. It's just not. Sometimes I wish it weren't for me either (I'm kidding; no I'm not). 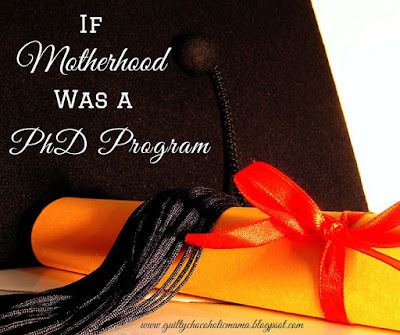 But in the end, it just matters that we're "Mom", no matter where they learned. Thank you, Christine, for your comments. Thank you for saying so, Kristin! It all sounded great to me...but I'm clearly not the expert! ;) Meanwhile, my public school girls are at least enjoying a fog delay this morning. :) Thanks for taking time to stop by and say hello! You've made your teacher cry. Uh, YES. Ha! I have a strong willed one who makes me cry on a daily basis! 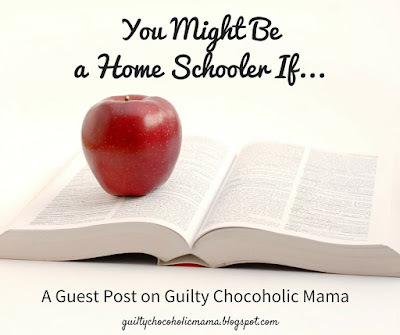 And we are usually schooling in pjs as you can tell from our homeschool posts. Great list! Oh, schooling in PJs! That sounds so lovely. I am sorry that the "you've made your teacher cry" entry resonated with you, Ana...but it is the desire of my heart for this blog to allow moms those "me, too/I'm not alone moments." 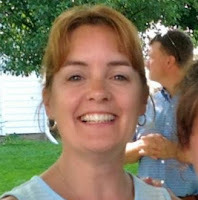 I'm glad if this fabulous guest post by my friend Julie could do that for you. Hope today is tear-free, mama! I'm so glad, Antonia--because that's one of the things I love best about blogging: seeing those moments when moms share their experiences and have those encouraging "me, too" moments! Thank you for taking time to join the conversation! Yes, it's nice to know we're not alone in this journey! And the beauty of motherhood is that whether you work or home school or stay at home, we're all in the same boat as far as being moms. Lol! I homeschool and still find myself crying and making my children cry at times. But most days I am so thankful I get to homeschooling my kids despite the many challenges. I think there are definitely pros and con's to both homeschooling and public school! I would add...you might be a homeschooled if your classroom is your backyard or the park and your classmates are your siblings and your science class is watching your dad butcher a deer. ;) Loved this!! Thanks, Rebekah. We have still tears now and then too, but the good outweighs the bad, right? I love the "butcher a deer" comment. Definitely science class! You might be a homeschooler if you catch your mom talking to herself and she replies that she is just having a parent teacher conference. Julie, that is SO great! I've heard that before in a home school "routine" by comedian Tim Hawkins and LOVE it. I'm not a home school mom, but I DO talk to myself a lot. A. Lot. What do you suppose that means? ;) Never mind. I withdraw the question.